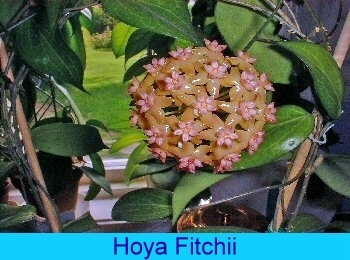 While mature hoyas do not seem to be susceptible to diseases, they do get attacked by insect pests. Aphids, mealy bugs and scale all attack hoyas. Insecticides which attack these organisms are effective. However, apply according to directions and do not apply indoors. Another effective treatment is diluted freshly prepared insecticidal soap or liquid soap in water (1 TBS per gallon or 15 ml per 4 liters). The solution must be made up each time you spray and used every three days for 4 to 5 treatments. This breaks the life cycle of the usual insects pest. Some growers find that alcohol wiped or sprayed on mealy bugs halt the invasion.